The liver is the largest gland of the body, which are stored in the right diaphragmatic arc. Liver weight in the range 1400-1800 g.
There are many types of cancer that affect the liver. These tumors are considered as liver cancer. However, it should properly be understood term cancer and interpreted as malignant tumors of epithelial cells. Often in conjunction with liver cancer speaks of malignant tumors of the biliary tract and gall bladder. This is because that part of the biliary tree is created and stored just in the liver (intrahepatic biliary part). Bile itself is made up by hepatocytes (liver cells).Gallbladder and liver urges just gallbladder cancers to the liver may ingrowth. Liver, gallbladder and bile ducts along both anatomically and physiologically closely related. The most serious malignant tumor of the liver is called.Hepatocellular carcinoma (carcinoma, which is based on hepatocytes) .In a global scale is a relatively frequently occurring tumor. Will be added an estimated 1 million cases each year. The incidence of cancer has a geographic influence. 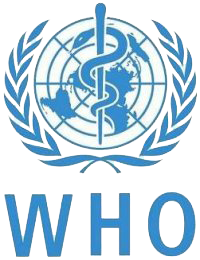 The highest incidence of hepatocellular carcinoma in China, Southeast Asia and Central Africa. For other tumors, but they are far less significant will be discussed hereinafter. In hepatocellular carcinoma are known several major risk factors. Above all, it is an infection with hepatitis B and C.
70% of hepatocellular carcinoma develops on the basis of liver cirrhosis. From the effects of the environment is a significant effect of aflatoxin B, which is the product of fungi Aspergillus flavus. One may also at risk of developing this cancer if it is in contact with a variety of chemicals, e.g. nitrates, pesticides, insecticides, androgens and estrogens. There are metabolic disorders, which is a higher risk of tumor: hemochromatosis, hereditary tyrosinemia, Wilson’s disease (hepatolenticular degeneration), alpha 1-antitrypsin deficiency, and porphyria. Definitely vaccination against hepatitis, hygiene. Avoid alcohol in large doses. Signs and symptoms of the disease (clinical symptoms) are very nonspecific (interchangeable with other diseases). We find abdominal pain, especially on the right side. It is generally present highschvácenost patient, fatigue, frequent temperature, chills, loss of appetite and consequentweight loss. For cancer may or may not occur jaundice (jaundice). Furthermore, resistance may be felt in the abdominal cavity in 33% of patients, less then found enlarged spleen (splenomegaly), ascites (exudate in the abdominal cavity). Symptoms closes a decrease in muscle mass and crisp finding blood vessels in the skin that protrude like pavoučkovité nevi. When the issue of liver cancer, it is appropriate to mention one representative from the group of benign epithelial tumors, and thus hepatocellular adenoma or adenomas of the liver cells. Characteristic for him is that mainly occurs in women in connection with the use of hormonal contraception. In men, this tumor also occurs, but often associated with the use of anabolic steroids. May occur in other situations, but much more rarely – inborn errors of metabolism like. This tumor is not bound to cirrhosis of the liver. The tumor has a sharply bounded spherical in shape and brownish yellow. Malignant transformation of this tumor is rare. Treatment consists of surgical removal. 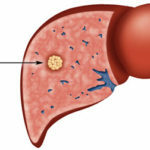 Hepatocellular carcinoma (HCC, hepatoma) is the most common and most malignant liver tumor.As already mentioned, arises in connection with liver cirrhosis, infections with hepatitis viruses B and C, aflatoxin B. Its foundation also cause two important co-factors: smoking and alcohol. On view hepatoma may have several variants. It can create a lot of spherical bearings in both large lobes of the liver, and then talk about multinodulárním HCC. Another option is a big bulky node that has additional satellite deposits (massive HCC). Diffuse HCC is a cancer that produces tiny bearings replacing almost the whole liver tissue. The tumor has the ability to grow into the hepatic veins and cause thrombosis. Furthermore creates metastases in the lymph nodes and lungs, rarely found elsewhere. Typical symptoms for this tumor are: pain in the right upper quadrant, weight loss, fever. For solid tumors are captured in the blood increase tumor marker alpha-fetoprotein, which is not specific for HCC, but especially in the diagnosis and in monitoring the course of disease is of great importance. The problem is that all these symptoms are relatively nonspecific (thus may exhibit a number of diseases, most of which have trivial character). In addition to these symptoms they show up late, ie when a large tumor. Hope for a cure is generally poor. Fibrolamellar hepatocellular carcinoma is a special subtype of hepatocellular carcinoma. It differs because it has different biological properties. The first difference is the fact that it occurs mainly in children and adolescents. The tumor grows slowly, and until very late metastasizes to the lymph nodes and lungs, so the surgical treatment is often successful. Hepatoblastoma is more malignant liver tumor. It is typical that occurs in children and often at birth. Hepatoblastoma is the most common liver tumor in childhood. It grows rapidly spreads to the lungs and into the body. In blood we found alpha-fetoprotein. The tumor can be found cartilage, striated muscle, bone, etc. In the liver, we can find a variety of other cancers. From neepitelových tumors it is e.g. cavernous hemangioma, which is not a malignant tumor, but benign. It is often stored beneath a fibrous sheath liver. Usually has no symptoms (it is clinically silent). In rare cases, it may be a source of massive bleeding into the abdominal cavity. Of the malignant tumors are neepitelových epithelioid hemangioendothelioma andhemangiosarcoma. Treatment primarily involves surgery. Just this treatment is able to achieve long-term therapeutic outcome. However, only a small part of the tumor can be surgically removed. 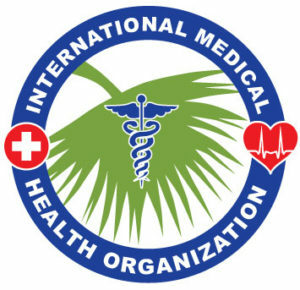 As palliative surgery (palliative care includes extending or improving the life of patients who die of incurable disease) is used blockage (embolization) hepatic blood vessels, which can lead to partial tumor necrosis. A better effect is a combination of vascular embolization and chemotherapy. Another treatment consists in 95% ethanol into the tumor. This treatment is only used, if present minor quantities bearing the tumor, and if less than 5 cm. The prognosis depends on the size of the tumor and other factors. Favorable factors include the possibility of removal of the tumor, absence of cirrhosis and female gender. Self-help is not possible, just relax and stay in bed. The main complication of cancer metastases in the lungs and lymph nodes, which significantly reduces the chance of survival.